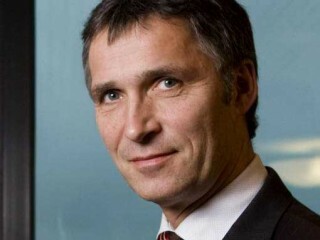 Jens Stoltenberg, born March 16, 1959 in Oslo, Norway is a Norwegian politician and prime minister. Norwegian politician Jens Stoltenberg ascended to the post of prime minister of his country in 2005. The election results signified a shift to the left for this Scandinavian nation of 3.4 million, which has prospered immensely thanks to its North Sea oil exports, and Stoltenberg promised to use that wealth to boost Norway's already generous network of social services. The telegenic Stoltenberg is sometimes compared to British Labour Party leader Tony Blair because of his relatively young age as head of his country's leading party of the left. Stoltenberg was born on March 16, 1959, in Oslo, Norway's capital. His father, Thorvald, would later serve as Norway's foreign minister, the United Nations High Commissioner for Refugees, and head of the Norwegian Red Cross, while Stoltenberg's mother, Karin, would be appointed to a junior minister post in the Norwegian government. Both were members of the Norwegian Labour Party (Det norske Arbeiderparti, or DNA), which had been in power for much of the twentieth century thanks to consistently robust voter support for its democratic-socialist policies. In parliamentary elections held on September 10, 2001, Stoltenberg's party lost heavily, taking just 24 percent of the vote in its worst showing since 1924. Bondevik returned as prime minister to head a center-right government, and Stoltenberg concentrated on realigning the DNA to help it return to power. He won a hotly contested battle against Jagland for the party leadership in 2002, and prepared for the 2005 elections. In that contest, the DNA secured a majority, but the Socialist Left Party and the Centre Party did well at the polls, too, which necessitated the formation of a coalition government. Sworn in as prime minister for the second time on October 17, 2005, Stoltenberg presided over a country that had continued to prosper since his first term on the job. Norway boasted a four-percent annual growth rate and had one of the lowest rates of unemployment in the world. It was usually listed at the top of the United Nations' Human Development Index, which ranked the best countries to live in the world. Thanks to rising prices per-barrel on the world oil market, the Petroleum Fund held a staggering $190 billion. Stoltenberg and the DNA proposed to spend a little more than five percent of that, or ten billion dollars, on health care, education, and senior citizen services in the coming years. "Norway has great possibilities and we have to use these for everyone in our country," he wrote in an editorial in Norway's largest newspaper, Verdens Gang, according to a UPI International Intelligence report. "That means we must spend the big money on the big issues." A more problematic debate is likely to loom over the question of European Union (EU) membership--Norway is one of the last European countries choosing to remain out of the EU, a status supported by most of the leftist parties, but Stoltenberg has backed the pro-EU side. Born March 16, 1959, in Oslo, Norway; son of Thorvald (a politician) and Karin (a politician) Stoltenberg; married Ingrid Schulerud (a diplomat); children: two. Education: Earned advance degree in economics from the University of Oslo. Addresses: Home--Oslo, Norway. Office--Office of the Prime Minister, P.O. Box 8001 dep., (NO-)0030 Oslo, Norway. Part-time journalist for the Arbeiderbladet newspaper, 1979-81; Norwegian Labour Party, Oslo chapter, information secretary, 1981, central board member after 1985, chair, 1990-92, deputy leader, after 1992, and chair, 2002--; Labour Youth League, chair, 1985-89; executive officer, Statistics Norway, 1989-90; lecturer in economics, University of Oslo, 1989-90; Secretary at the Department of the Environment, 1990; member of parliament, 1993--; cabinet posts include minister for trade and energy, 1993-96, minister of finance, 1996-97; chair of parliamentary committee on oil and energy affairs, 1997-2000; prime minister of Norway, March 2000-September 2001, and October 2005--. View the full website biography of Jens Stoltenberg.